Perano mild steel enclosures are highly versatile, adaptable enclosure solutions suitable for electric, hydraulic, pneumatic and various applications in all industries. Perano mild steel enclosures are manufactured from 1,6mm – 2mm material with a folded channel that provides stability and protection against dust and water. 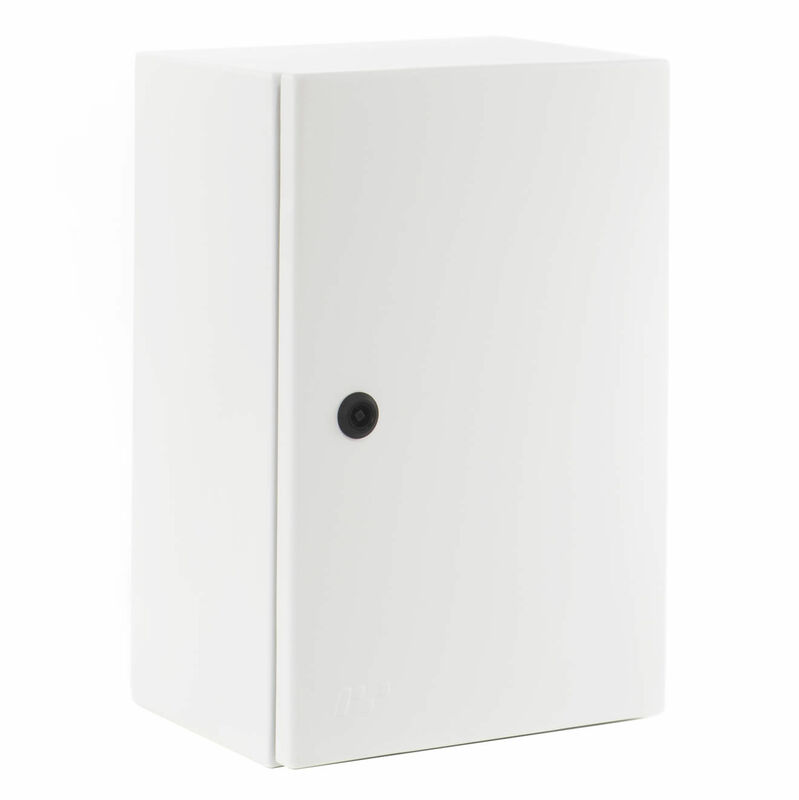 Mounting plates are fitted to all electrical enclosures and powder coated white as a standard. Solid metal door with all round flanges, a continuous extruded polyurethane gasket, closing firmly against a self-draining labyrinth, concealed hinges and 6mm square drive lock. Perano enclosures can be wall or pole mounted. All painted items are processed through a seven stage cleaning process prior to powder coating. The standard colours are RAL 7032 Grey and B26 Orange. 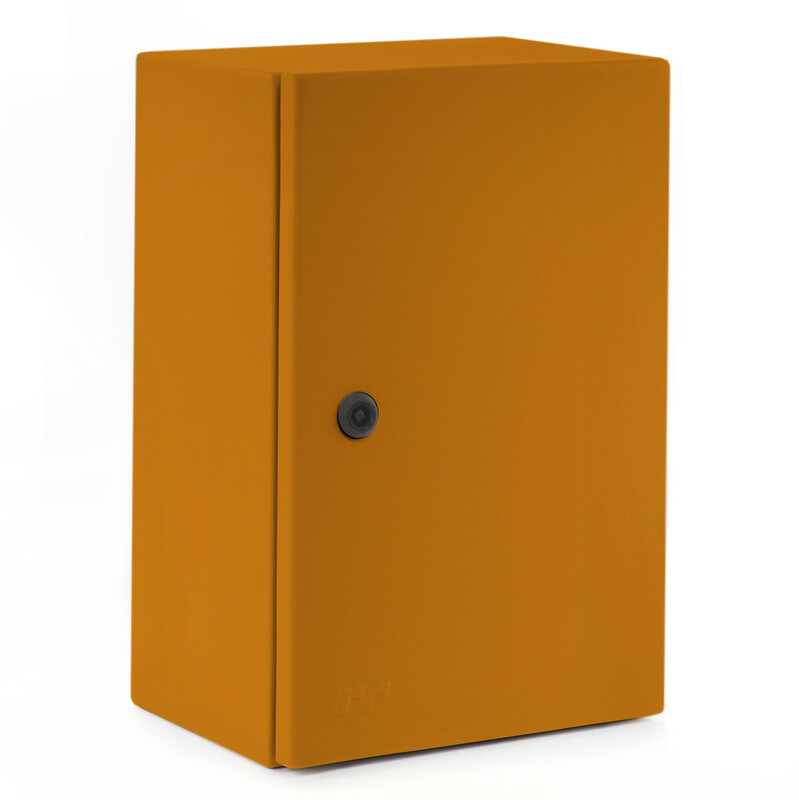 On request a variety of colours and finishes are available making Perano enclosures the most versatile enclosure solutions. Perano enclosures are designed to protect equipment to suit Ingress Protection ratings of IP54, IP55 and IP65. Changes in size and construction or modifications such as holes, knockouts and louvers are available meeting the Perano enclosure the most adaptable enclosure solution. Various locks from our Perano hardware range can be specified.